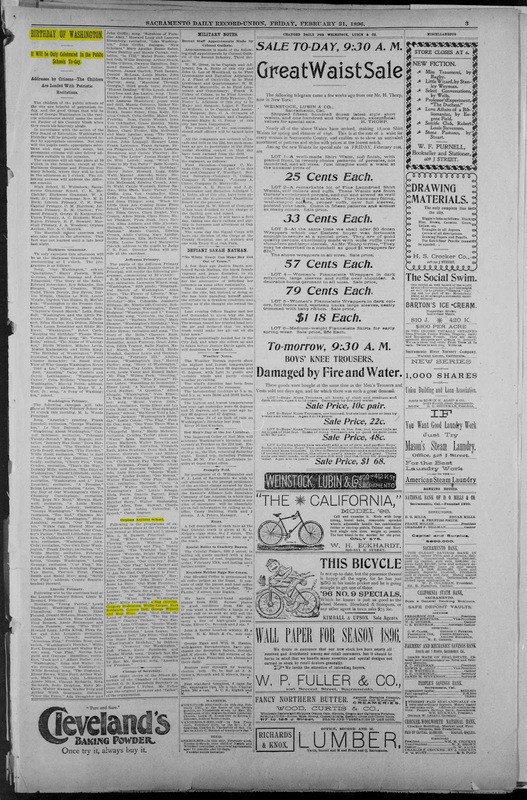 We continue to celebrate Women's History Month by focusing on recent revelations from the California Digital Newspaper Collection. Last November I wrote about my great grandmother, Mae Moss, 1882-1963, as my "brickwall ancestor." You can read that article here: LINK I mentioned in that article that Mae resided in the Sacramento "Orphan Asylum" from 1892 to 1897. Her great grandchildren myself included always knew her as "Grandma Mae." Her maiden name was "Mae Moss." 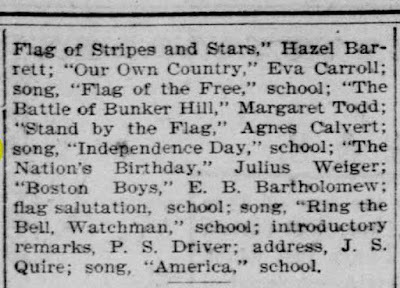 I recently found several articles from the Sacramento Record Union under the spelling "May Moss" that note her participation in school programs at the Orphan Asylum. A useful technique when searching in book indices and digital databases is to consider all of the possibilities for alternate spellings of the names of your ancestors. 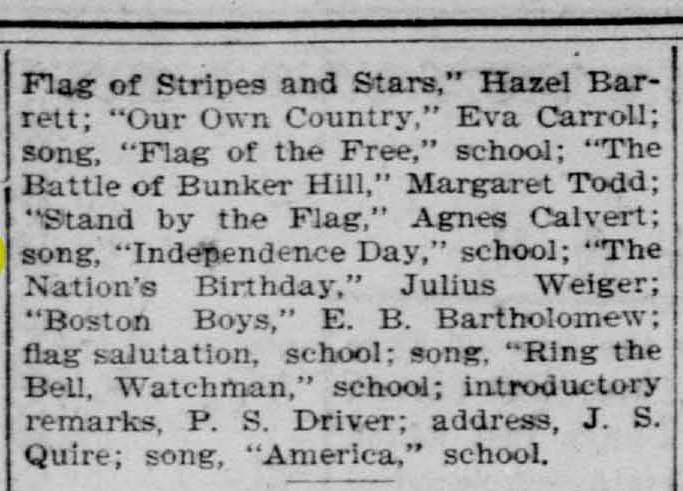 May Moss performed the song "Dead Comrades" at the Sacramento Orphan Asylum School on Friday, May 29, 1896 during the Memorial Day celebration. 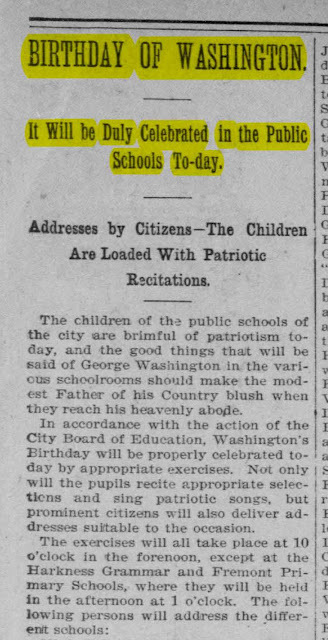 It appears that school sessions continued into July in Sacramento in 1897 which was surprising. 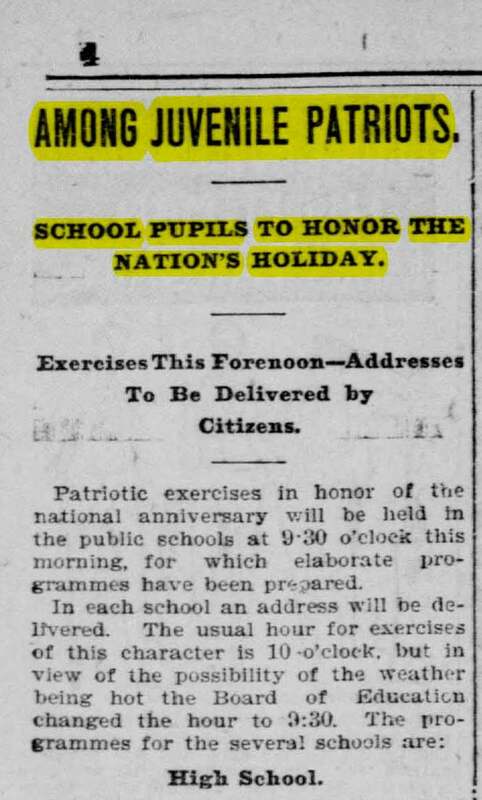 The school officials moved the time of the performances up to 9:30 AM rather than 10:00 AM in "view of the possibility of the weather being hot." It is also interesting to note that May Moss was the first solo performer which would indicate that she had a good voice. 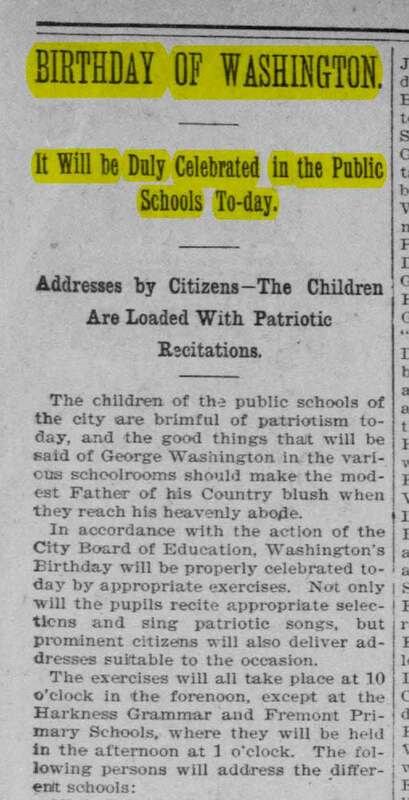 Another notable fact is that May is now attending Sutter Grammar School rather than the Orphan Asylum School. Apparently, the school year ended in July rather than June because May Moss was again listed in a newspaper article regarding school promotions in the Sacramento Daily Union on the 14th of July 1897. May Moss was promoted from the Sixth Grade at Sutter Grammar School. According to the orphanage records, Mae Moss was about 15 years old at the time which seems a little old to be in sixth grade but not inconceivable. In Mae's own account of her age in her Social Security application, she would have been about 12 years old which seems to fit better with a sixth grader. 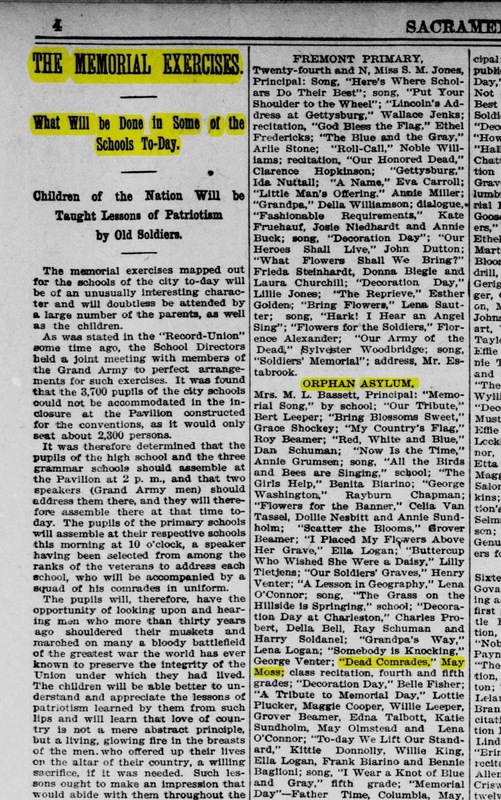 The records of the Sacramento Orphan Asylum show that her mother removed Grandma Mae from the orphanage less than a month later on August 4, 1897 without permission from the board. 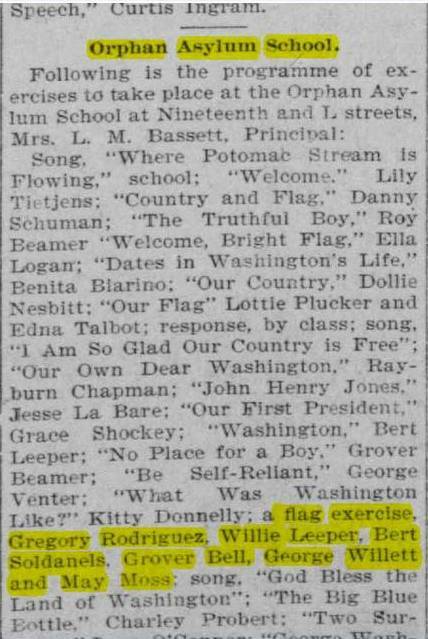 Now that I have Sacramento and San Francisco newspapers to search, I am starting to get more pieces of Grandma Mae's "ancestor puzzle." 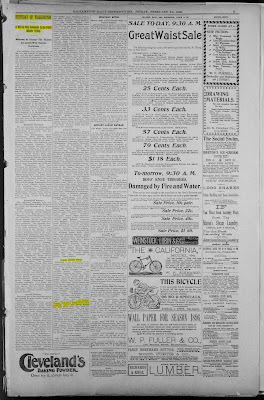 These news articles provide a fascinating view into her life over 100 years ago. While the "brickwall" isn't exactly tumbling down, hopefully, there will be more puzzle pieces discovered in the near future.